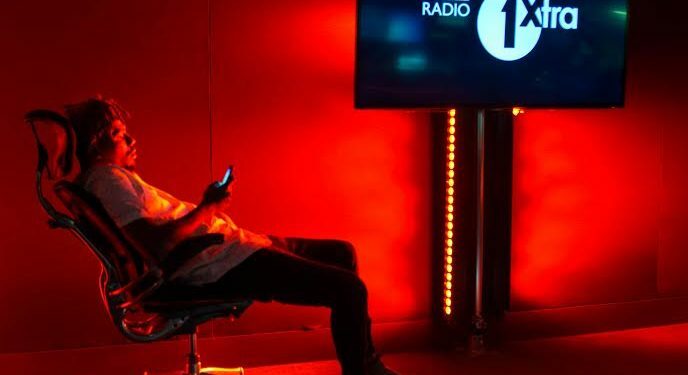 Nigerian rap star and Tinny entertainments own Ycee became the first African act to host a BBC Radio 1xtra show sitting in for the legendary Dj Edu on “Destination Africa”. During his UK radio hosting debut lasting 3hours in total , interacted with the listeners entertaining the audience showing a side to the rapper rarely seen whilst playing his selection of the hottest tracks from the continent . Ycee also premiered a single “juice ft Maleekberry ” and a snippet of another single “bubbly” from his soon to be released EP titled “The First Wave” (out on the 7th of April) . Find below pictures of the historic occasion and the BBC radio link of Ycee”s exclusive premier of “juice and bubbly “.